Ravindra Bhat And R. V. Easwar, JJ. S. Ravindra Bhat, J. – The petitioner (hereafter “Vodafone”) questions the legality of a reassessment notice (“the impugned notice”) issued by the respondents (“the Revenue”) under Section 148 of the Income Tax Act, 1961 (“the Act”) on 14-03-2012, for Assessment Year (“AY”) 2005-2006. It is undisputed that the reasons to believe that income had escaped assessment recorded by the revenue were disclosed to the assessee, for the first time, through a communication dated 01-10-2012. 2. The facts, necessary for deciding the present petition are that the assessee engages itself in the business as a telecom service provider. It filed its return for AY 2005-06 claiming a loss of Rs. 3,50,99,31,672/-. On 20-12-2007, the assessment order was finalized. The Assessing Officer (“AO”) added back some amounts out of the claim for commission expenses. This disallowance was on the basis of queries sought on this aspect, from the assessee, to back its claim. The assessee had claimed expenditure of Rs. 1,07,95,70,000/- (Rs. 95,84,20,000/- on account of dealer commission and Rs. 12,11,50,000/- as commission to others in the profit and loss account). During the assessment proceedings it was asked to file details of the commission expenses. It submitted that the commission was paid to the distribution chain appointed by it across its territory of operations and that the commission expenses included commission paid to prepaid/postpaid scheme distributors, promotional merchandise distributed to the customers and collection and credit commission. The AO was of the opinion that the material supplied during the assessment proceeding could not justify the entire claim for Rs. 107.95 crores, but was sufficient to warrant a deduction of 75% of that amount. The AO therefore, added back 25% of the said sum of Rs. 107.95 crores, i.e Rs. 26,98,92,500/- and brought it to tax. 4. After considering the objections, the AO proceeded to frame the re-assessment order on 30-12-2010. The first, third and fourth grounds on the basis of which reassessment was opened, were upheld and amounts originally proposed to be added back, were in fact brought to tax. However, the re-assessment order was silent on the dealers’ commission to the tune of Rs. 107,95,70,000/-. The assessee had furnished a reply and materials to the AO, in the course of reassessment proceedings. 6. Vodafone argues that the Revenue’s repeated attempts to re-open the question of dealers’ commission, on one ground or the other, are barred and untenable. Learned senior counsel for the petitioner relied on the replies and documents furnished to the AO during the original assessment under Section 143(3), and in answer to the first re-assessment notice, to say that all possible queries made and anticipated, were replied to. Even the issue of tax deducted from the commission paid or payable was an issue gone into. Consequently, the second reassessment notice, impugned in this case, really amounted to a review that the law did not permit, given the decisive nature of the ruling by the Supreme Court in CIT v. Kelvinator of India Ltd.  320 ITR 561. 7. It was argued on behalf of the Revenue by Mr. Rohit Madan that the reassessment notice was, in the circumstances of this case, validly issued. Counsel stressed that the previous proceedings did not discuss or consider the question whether the commission paid to parties by the assessee should have led to TDS and deposited to the Government account. The previous order – made in reassessment proceedings- was bereft of discussion or findings. The expenditure as a whole should have been disallowed and added back to the assessee’s income. This mistake resulted in incorrect carry forward of loss of Rs.80,96,77,500/- involving potential tax effect of Rs.29,62,81,239/-. Thus, argued the counsel, the ex-facie lack of discussion constituted a valid reason to re-open the assessment. Counsel stressed that there is no bar as to the number of times that reassessment notices can be issued, provided the objective statutory conditions are satisfied in that regard. 8. What constitutes valid and justifiable grounds for re-opening of assessment is established. 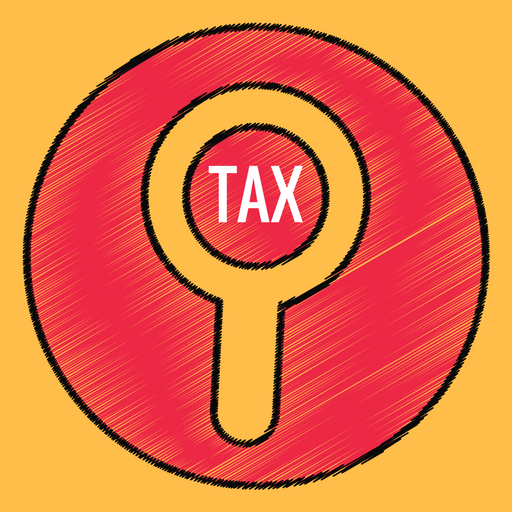 After Kelvinator of India Ltd. (supra), it is now acknowledged that a tax administrator would act within jurisdiction if notice of reassessment is issued in a given case, based on “tangible” or fresh material. Re-appraisal of previously assessed returns, based on a change of opinion or an improved understanding of the law, would not pass muster as the basis for a valid reassessment proceeding, because the law would not uphold such change of opinion as it amounts to an impermissible review. Equally, an erroneous previous view warranting exercise of revisional jurisdiction cannot authorize a valid reassessment notice. 9. In the present instance, the Revenue had concededly raked up the issue of commission paid to dealers in the first reassessment proceeding. That too was despite the AO having gone into the question and disallowed the amount in question to the extent of 10%. As to the obligation to deduct tax, it was the specific subject matter of enquiry during the first re-assessment proceeding, because the notice, inter alia, alleged that “..If the commission would have been paid to parties by the assessee then TDS should have been deducted and deposited to the Government account which has not been done. The expenditure as a whole should have been disallowed and added back to the income of the assessee.”In the assessee’s letter in response to the first reassessment notice dated 15-12-2010, inter alia, this precise aspect – as to details of commission paid to dealers, and supporting material in respect of TDS deducted, was referred to (this is found at pages 163-166 of the present petition paperbook). The assessee had relied on, and annexed copies of the reply to questionnaire and queries in the course of assessment proceedings, and annexed the response given at the time of assessment on 07-11-2007, as well as supporting documents. These were the subject of enquiry during the first reassessment proceeding. That the AO appears to have been satisfied about the explanation and, therefore, chosen not to bring to tax any amount on this aspect, is a matter of inference because in the first reassessment order, no addition was made on this score. 10. It is evident from the above discussion that during the assessment proceeding, and the first reassessment proceeding (pursuant to the earlier reassessment notice of 03-03-2010) the question of dealers’ commission as well as TDS on those amounts, had been gone into. The attempt to revisit this issue a third time, in the given circumstances of the case, is nothing but the tax authorities’ effort to overreach the law and resultantly a sheer harassment of the petitioner. The impugned notice and all further proceedings conducted pursuant to it are, therefore, without jurisdiction and hereby quashed. The writ petition is accordingly allowed but without any order on costs. This entry was posted in Sec. 37(1), Section 147 and tagged 363 ITR, Delhi High Court, In favour of Assessee, notice for reassessment, writ against reassessment notice.